The day before Christmas Eve is always the hardest at our house. The kids have been out of school for a few days already, enough to have done all the activities at home, but it’s too close to Christmas to brave the traffic and people and go out anywhere. But it’s not close enough to Christmas to open presents or visit family, so it’s kind of a limbo day… almost Christmas, but not quite. We’ve already made fudge and dug out the Christmas play dough mats this morning, but the pre-Christmas anticipation is getting to everyone and I know it’s going to end in tears if I don’t occupy the kids with something productive! 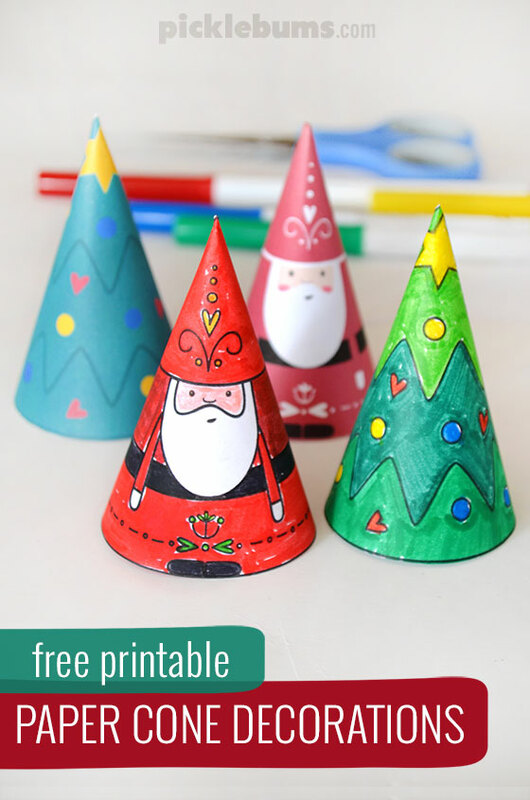 Time to break out one last Christmas craft, a really fun and simple one! 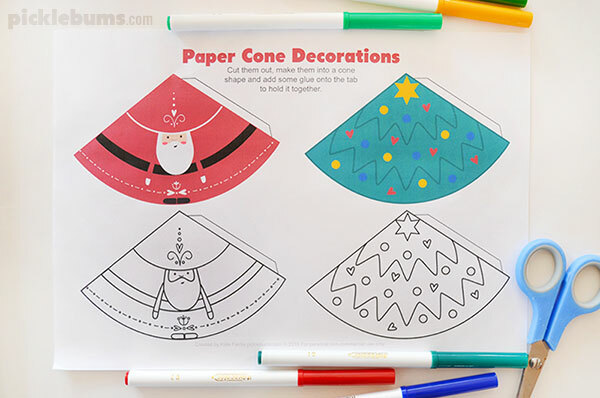 Let’s make these paper cone Christmas decorations. 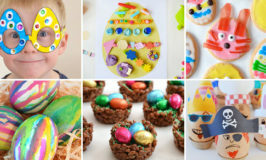 You can download the free printable designs to cut and colour here. These printables are A4 sized pdf files. If you are printing on US ‘letter sized’ paper be sure to select ‘fit’ or ‘shrink to fit’ from your printer options. Now all you need to do is cut each one out and colour them in (or use the coloured versions if you like). 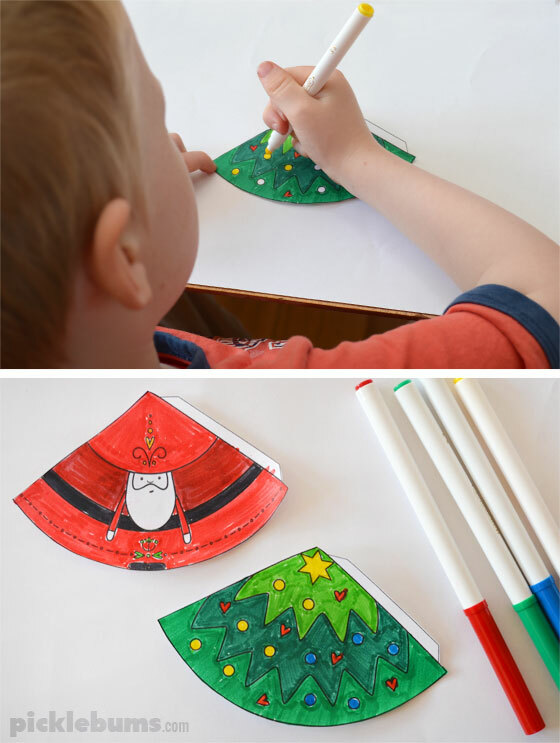 Roll the coloured design into a cone shape and add a bit of glue to the tab to keep it all together and you’re done! 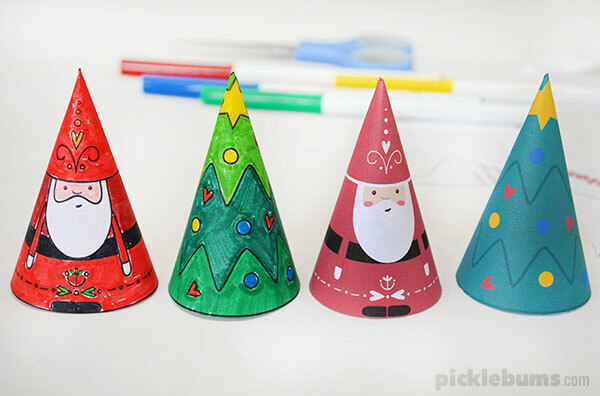 These cute little guys look good sitting on a shelf, or add a string out the top and hang them on the tree. 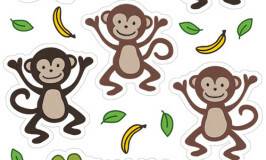 They are also great for imaginative play, and they even work as finger puppets! Do your kids find the pre-Christmas anticipation a little hard to manage? What do you do to keep things ‘merry and bright’ in the days before Christmas? My oldest son is the same age as your youngest, so every stage is new to me. This year is the most excited about everything “Christmas” he has ever been, so your words explain why he has been a little “off” – he just can’t wait any longer!! Merry Christmas to you, and thankyou so much for all the Work you do to create your blog. I love these Kate! Using them as puppets is a great idea. I’m definitely going to print some of these out for the nieces and nephews at our family Christmas party this year! Thanks! This Christmas cones are the best. Are there more. Just the two designs at the moment I’m afraid… do you have suggestions for others?